Nourishing 7-day yoga-detox retreat in Andalucia, Spain for a week from May 11th – 18th 2013, juicing, colonics, yoga, workshops, personalised program, prices range from £750 – £1,050. Join our refreshing and ultra-healthy week-long spring yoga-detox health retreat. Enjoy the natural beauty of Andalucia, in a peaceful, supportive and nourishing environment. Perfect if you need to take time for yourself and recharge or you’re seeking a solution to a persistent health complaint that is troubling you. We understand trying to find the right detox holiday for you, can be a bewildering experience. This is why we have put together a guide to help clear away any confusion and get down to what you need to know when choosing your retreat. 1. What do you want from a detox? Firstly, you need to ask yourself, what is it you would like to gain from your detoxification program and what are you prepared to commit to. 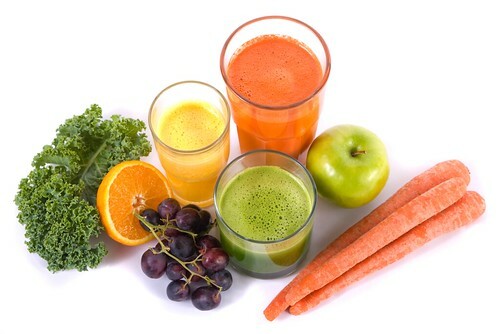 Detoxes can vary from a water fast, fruit juice fast, vegetable juice fast, vital super foods raw and cooked healthy detoxing meals with some including detox herbs and supplements to potentise the detoxifying effects on the body. So it is important that you are clear on what you would like to gain and prepared to commit to during your week of detoxing. As we’re heading into an exciting and inspirational new year, I wanted to introduce you to a new(ish) addition to the team here at North London Clinic, and give you a special gift for the beginning of a very special year. Ben Barnett is a Holistic therapist of 16+ years experience, formerly of Harvey Nichols and Harrods and has worked with Kylie Minogue and her stylist William Baker amongst others. Is colonic irrigation dangerous to your health? There have been numerous recent articles in the press about the dangers of colonic irrigation. Had I not personally been having colonics for over 7 years, I too would have been scared of talk of kidney failure and bowel ruptures. 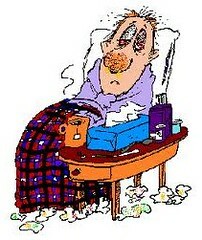 Worried about getting ill this winter? As autumn and winter are fast approaching, I am delighted to offer my special autumn/winter health detox to help get you strong & protected for this winter of cold, wet and damp weather. Start detoxing now. It’s easier than you think! Wouldn’t it be nice to live in a pollution-free environment, where we drank only the purest of water and ate naturally occurring organic foods? Where the homes we lived in were free of chemicals and the air we breathed, water in which we swam, and even the clothes touching our skin were pure and clear of any artificial chemicals?